The Beauty of Natural Dyes! 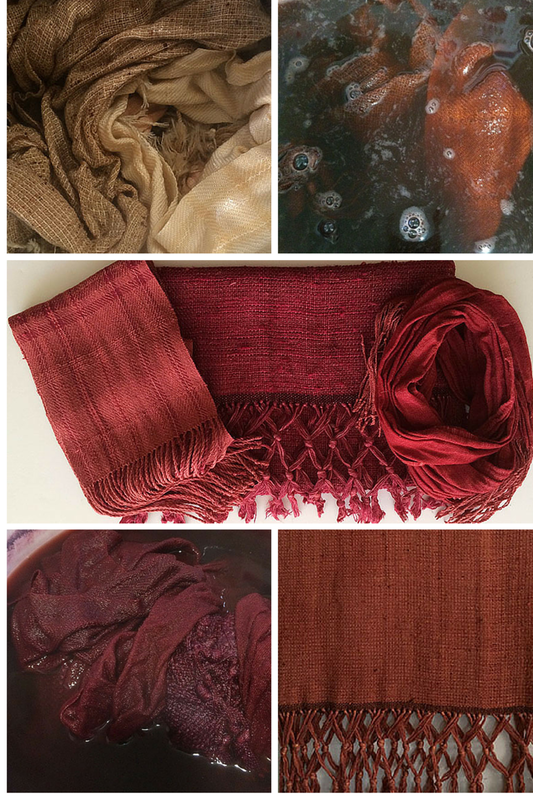 I just love working with natural dyes – keeping an ancient tradition alive, working with color, celebrating nature! Handwoven silk scarves dyed with madder red & cochineal. Rainy day in Munnar – worked at Aranya with the wonderful folks making color. Today we worked on lovely silk scarves dyeing shades of soft purple and magenta using Lac and Cochineal. Tomorrow we will make those same colors on superior Pashmina. We will also try for a lavender. The dyers were so excited to create new colors with me and I am so happy to be working with them again. It was so much fun to see all the new techniques they have learned – some of their own creation. They loved showing me what they were doing – shibori, dip dyeing, block printing, sewing and pressing and more was going on. Great color combinations – everything so beautiful! A day of smiles all around. First time in three weeks on my own. I am staying in a B&B in Chennai. The caretaker only speaks Tamil and there is a young man helping him with limited English – fun adventure! This morning I am going to attempt to get on a train to Auroville. I say attempt as I do not have a reservation. It was a bittersweet parting from my Wholefoods Volunteer Team members – we did so much together and formed a strong bond. At the same time by yesterday I was chomping at the bit to be on my own and have my own adventures. We each had a number and would sound off to be sure we were all present – now I am a solitary #13! Looks like a beautiful day outside – just waiting ’till 7:30 for breakfast and then I am off to visit Colours of Nature! Here is a short video of me working in the Vicenza Middle School, Vicenza Italy in March of 2013. I worked with approximately 200 6th, 7th & 8th graders doing Indigo/Shibori workshops. I just finished dyeing sampling skeins for my indigo demos in Turkmenistan. I dyed with Cochineal (reds) and Fustic (yellows). The yarns are (from left) wool, silk, an organic cotton/bamboo blend and a cotton/rayon blend. 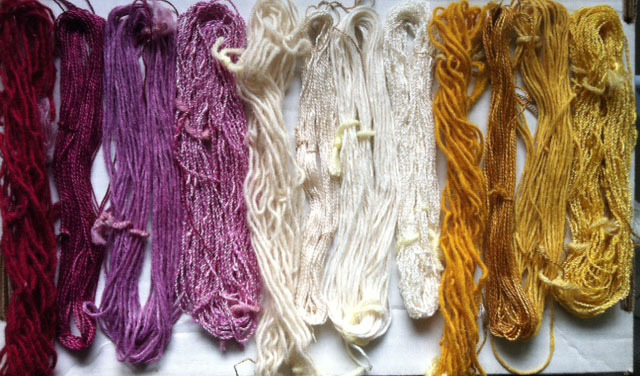 For the demo they will be over-dyed with indigo for a beautiful range of purples and greens! The undyed skeins will give a range of indigo blues as each substrate will take the indigo differently. 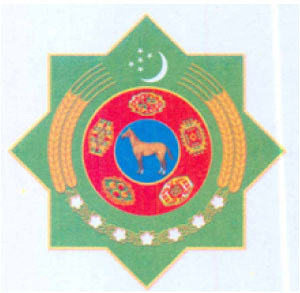 Today I received my official invitation from the Government of Turkmenistan! Seal of TurkmenistanThe Ministry of Foreign Affairs of Turkmenistan presents its compliments to the Embassy of the United States of America in Turkmenistan and, with reference to the Embassy’s diplomatic note of April 12, 2012, has the honor to inform of the Turkmen side’s consent to a visit to Turkmenistan by Ms. Linda LaBelle, an expert and specialist in American textiles, weaving and crafts, on May 20 – 27, 2012, and to arranging requested meetings and presentations. The Ministry of Foreign Affairs of Turkmenistan avails itself of this opportunity to renew to the Embassy of the United States of America in Turkmenistan the assurances of its highest consideration. I was recently invited to return to the Silk Road! The US Embassy in Turkmenistan contacted me on March 2nd and asked would I be interested in traveling to Turkmenistan at the end of May. My answer was a rousing YES! I will be there during the International carpet conference, and will have the opportunity to speak to women entrepreneurs and meet with craftspeople. 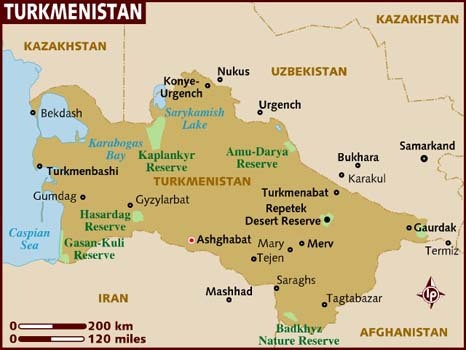 Author Linda LaBellePosted on March 24, 2012 May 19, 2017 Categories TurkmenistanTags Carpet Expo, Carpet Weavers, Natural Dyes, TurkmenistanLeave a comment on Turkmenistan Here I Come! !